Todd began his career with E&Y Chicago, then served in several financial reporting, controllership and shared services roles before joining Zebra in 1999 as Chief Accounting Officer. 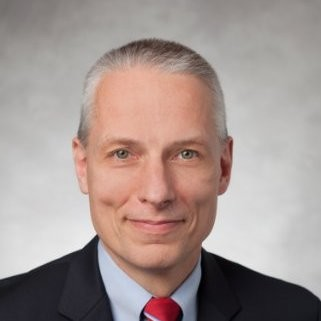 During his tenure at Zebra, Todd has led numerous strategic and cross functional projects including ERP implementations, expansion to China, and most recently the integration of Motorola’s Enterprise business purchased by Zebra in 2014. After completing that integration in mid-2017, Todd took on a newly created role establishing Global Business Services for Zebra. Todd has a BS in accounting from the University of Illinois, and an MBA from ChicagoBooth. Todd and his wife live in the Chicago area while his twin daughter have started their careers working for Accenture and the U.S. Congress. Todd is an avid cyclist and aspiring amateur photographer. Check out the incredible speaker line-up to see who will be joining Todd.